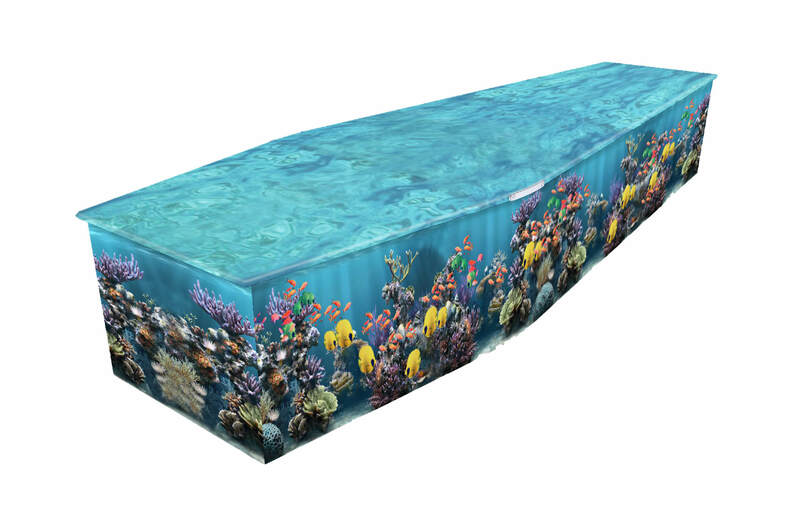 We have a variety of coffins available, all sourced from UK suppliers. 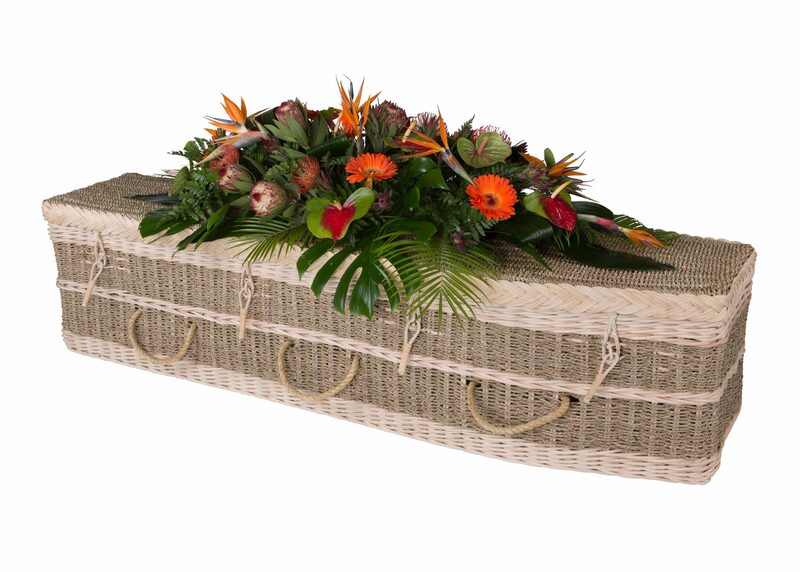 We can offer veneer coffins, solid wood coffins, and also more naturally sourced coffins, like the wicker, bamboo and cardboard varieties, as well as more colourful types. If there is something particular you have in mind feel free to ask us for more information and we will be happy to assist you. 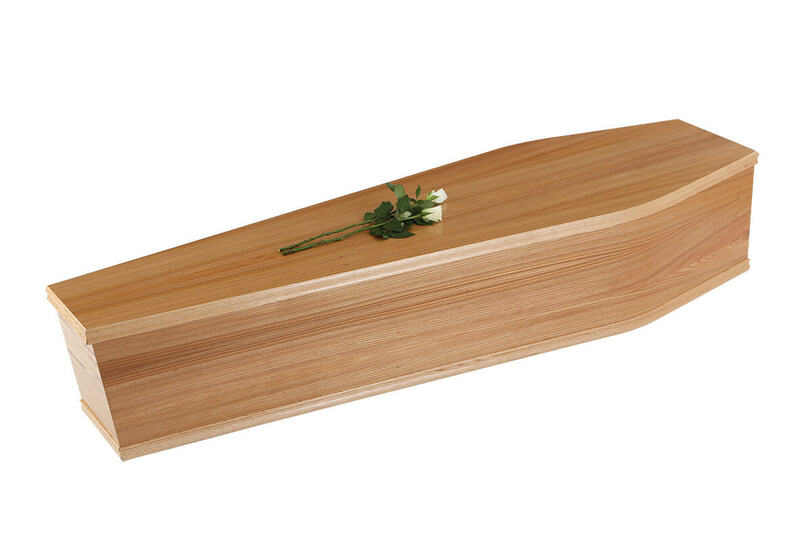 The most popular is the Westborn Coffin, which is a light oak veneered coffin. It comes fully frilled and with a pillow. 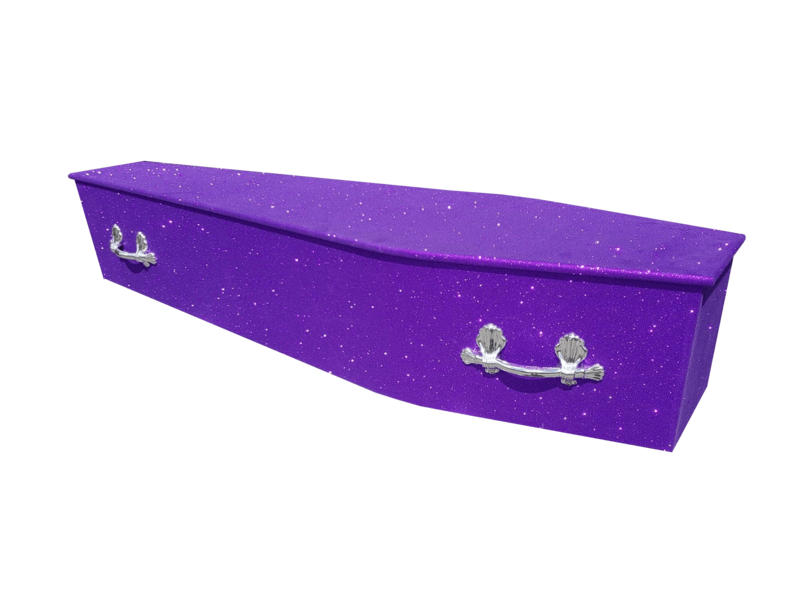 It is suitable for cremation and burial. 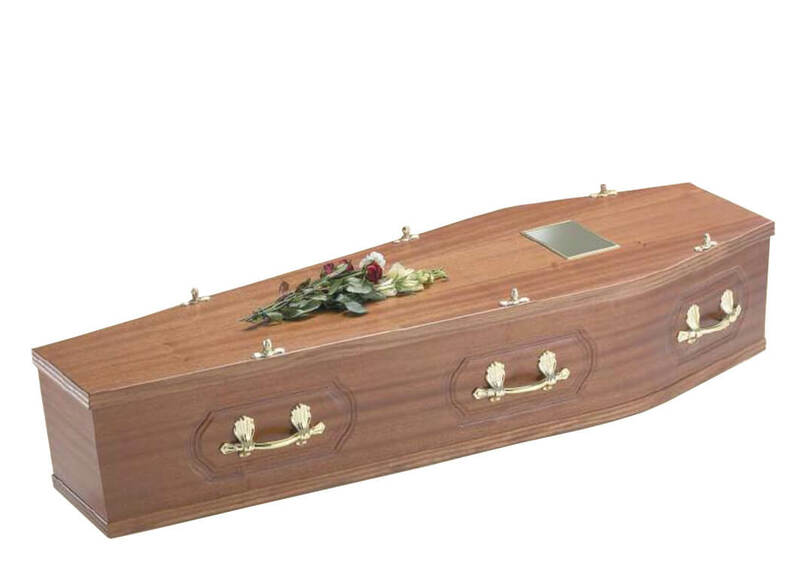 The Harrison is a Mahogany veneered coffin. 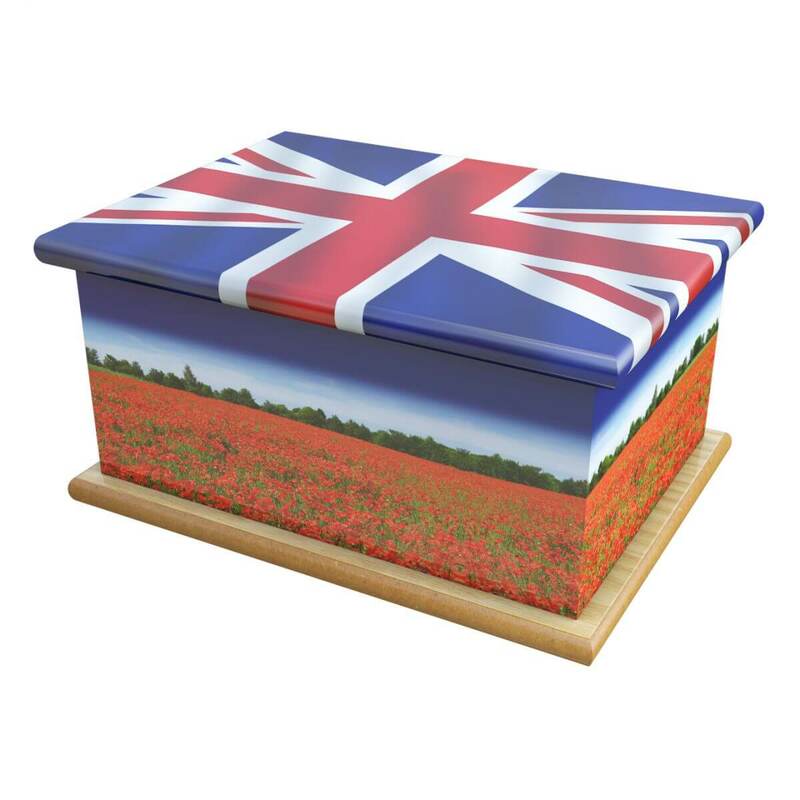 The Palmerston is paneled along the sides and can also come with a raised lid. 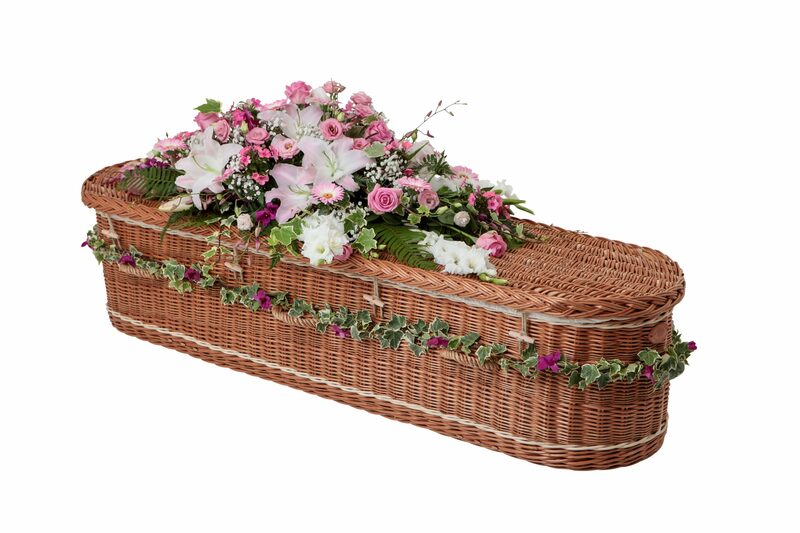 Other Coffins & Caskets are available, please ask for more information.